Do you have a dry well system on your Elk Plain, WA property? A properly working dry well system is essential to dissipating rainwater into the ground, where it blends with the groundwater. If you are experiencing any dry well problems, have dry well repair done as soon as possible. 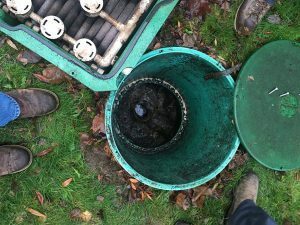 Neglected dry well problems can cause annoying and potentially damaging issues. 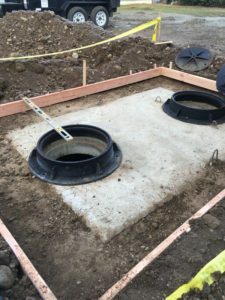 A dry well system may be used on many kinds of commercial as well as residential properties in order to encourage good drainage on the property. It is an underground structure that prevents unwanted rain water from pooling in the yard or paved surfaces. A dry well system, which works on gravity, is typically dug somewhere near the lowest point of the property and reinforced with gravel, stones, rocks, or concrete. We specialize in dry well repair and maintenance. 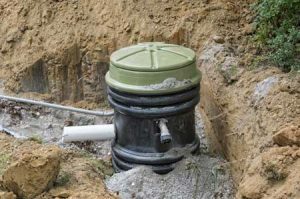 If you have an improperly working dry well system on your Elk Plain property, call us. One of the most common dry well problems is that, over time, the openings can become clogged. If you suspect dry well problems in your Elk Plain home or business property, it may be time for a professional inspection and repair. Repairing a clogged dry well will require expert assistance. You may need a dry well pumping to get to the source of the blockage. Contact us today for an immediate help with your dry well problems. The primary step in any dry well repair situation is to thoroughly assess the problem. We have the knowledge and equipment to determine dry well problems and the most appropriate solutions. For quality dry well repair in Elk Plain, call the pros at Vac-Tec, LLC at (253) 777-4887 today.